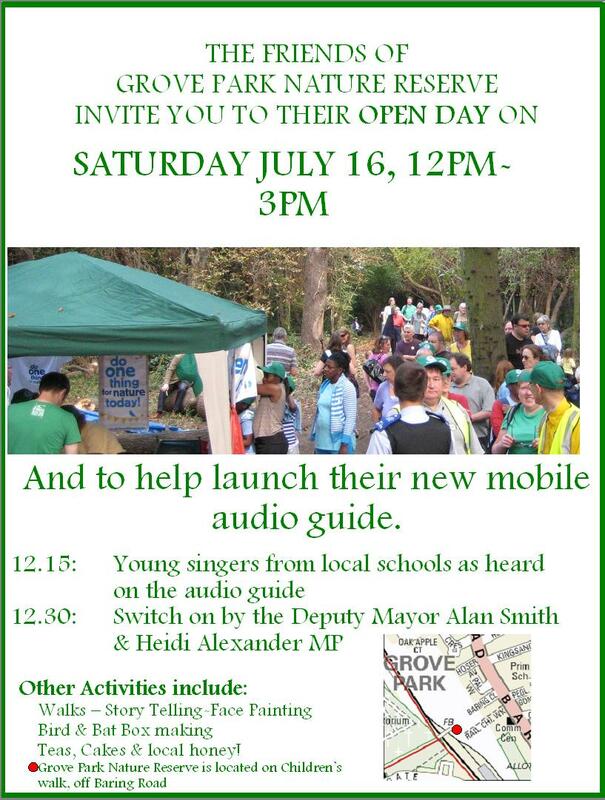 The Friends of Grove Park are happy to announce the launch of their new audio guide. This will take place on Saturday 16 July from 12pm-3pm. The lead you around the reserve, stopping at certain points, where you will learn more information. This has only been made achievable through the hard work and dedication of the Friends and Stephen Kenny.